Online presence of any service or product has proved to create a better customer base in this technology-oriented world. People are relying more on mobile apps, websites and other digital media forums to get a product information or even buy it. From eCommerce, electronics, real estate or even a restaurant, everyone tries to make their on-line presence by creating their company’s website that is made with all latest features and easy user interface. Some business areas like manufacturing industry keep themselves away from being so much socially active on the internet because of their nature of the business but working in this industry doesn’t mean that a customer base can’t be generated through online marketing or giving complete company details through a online web page. To create a strong online presence is a great technique that invites viewers in and shows them your industrial talent. The manufacturing industry is a serious business with strong, serious people that value professionalism and organization. How would it be if you can reflect the same seriousness in your website too. So, nowadays lot of these aspects can be found in Manufacturing / Industrial WordPress themes and templates available in the various online marketplace like ThemeForest, Template Monster, etc. These themes helps a lot to promote your business online with a latest brand new website. 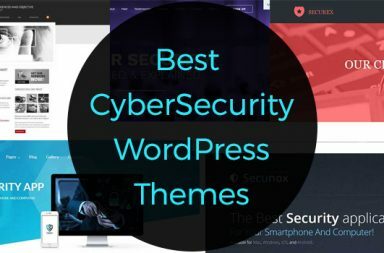 From various online marketplaces that sell WordPress themes, I have compiled some of the best available responsive industrial WordPress themes for manufacturing companies or factories that allows their online presence to be available on all types of devices, no matter where ever you are. Textile theme is available at template monster and is designed specially for textile industrial business. The theme has a simple and stylish design with minimal layouts. The site allows elements like fabric specifications, fabric certification display. A burger menu is given at the right top that gives a modern and latest look to the site. “Proind” is a responsive WordPress theme suitable for steal, mining, manufacturing and all kind of other industrial services. Proind theme contains pages like Operation (Company Projects), Service, Annual Report, Quarterly Report, board of members and various short codes which will make it easy to add any element. This proind WordPress theme will give your website a professional, high quality look that will surely impress your visitors. With this Proind design you will be able to easily customize your website and have all of the awesome features that WordPress 3.x websites have. Proind is specially designed for Industrial websites. This premium WordPress theme is offered by Template Monster. This industrial WordPress theme called “Optima” takes your company to a completely next level. This theme offers some beautiful features to any kind of manufacturing, developing, engineering, or construction company, in giving an impressive presentation online. It also provide attractive info graphic packs with charts, diagram , tables to showcase a companies summary reports of market growth or product development. Some of these info graphics includes Skills Graph, Islands, animated charts & tables, Horizontal & Vertical Diagrams, Pie Counters etc. Agriculture as the name given is WordPress Theme for fertilizer production company, agricultural product suppliers manufacturer or an organic farming firm. It is set on one page responsive web template built for agriculture company websites. Agriculture has an eye catching design, responsive layout and great set of features to present your product or service in the best possible way. Themeforest has given this name as ‘factory’ which is a multi-purpose theme designed for all types of industrial business like manufacturing, engineering etc. This theme comes with detailed precision and world class design for all types of industrial firm and small businesses. The theme is full of responsive and focuses strongly on tablets and smartphones with retina ready design. All the WordPress plugins are available to enhance its features. Click below for the demo and Try out this theme. “Developing” is an outstanding WordPress theme designed by Template Monster for oil and gas industry. This responsive WordPress theme is a solution to any industrial company due to its feature rich design. Users can build multi functional sites supplied with drop down carts and menus, back to top button, Google maps, social sharing buttons, audio video options and HTML JS animations. This template will help you create a SEO friendly site with cross browser compatibility so your site will be able to get lot of traffic through all sources. “Billio” is WordPress theme offered by theme forest to cater requirements of owners of different types of companies. Its a niche theme that is specialized for all types of manufacturing, construction, industrial, heavy equipment or tools and spare parts sale all in one package with a minimal price. The theme comes with various nicely designed pages to meet the company needs. The best part about this theme features is that it has inbuilt short codes to help you showcase various company details like annual reports… easily describing your company’s operations and financial conditions to shareholders or investors. You can also put presentations, brochures or flyers for product marketing and a fully working recruitment page. Watch the live preview for this theme and try it out. Available at ThemeForest, “Enhenyero” is a fully responsive WordPress theme to cater needs of an engineering industry business. It has a clean layout design with effective marketing with 20+ complete pages. It is built on Bootstrap 3 framework and has very proper call-to-action page layout which is very effective for marketing. This Industrial WordPress theme is called “Paper & Pack”, which fits perfectly for any packaging firm or a paper manufacturing industry. Paper & Pack is a simple, responsive, fully editable with SEO ready with easy 2 steps installation. It has a solid, attractive portfolio and gallery websites that are capable of engaging potential clients and employers in a deep, meaningful manner that will definitely raise your business profile as well as increase your overall business in a matter of days. Paper & Pack is SEO enhanced, meaning your packaging website will quickly raise the ranks across all search engines out there. It has a sophisticated deployment of Parallax effects with Parallax high resolution image backgrounds and video backgrounds, and far more under the hood, without ever having to write a single line of code. Just try it ! WP industry is industrial and engineering WordPress theme available at themeforest.com. This premium business theme is developed specially for heavy duty machinery business. The Theme is elegant, modern and easy-to-use with flexible, modular and responsive layout. Theme includes lots of features like Drag & Drop page builder, unique page builder blocks etc. You will receive a detailed documentation along with additional features like Unlimited color schemes, Google web fonts, custom widgets and page builder blocks etc.